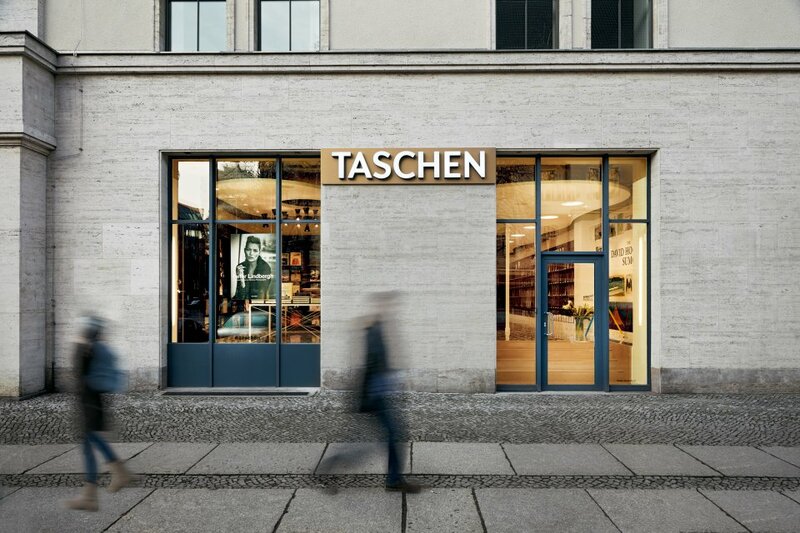 TASCHEN Store Berlin opened this weekend with a two-day celebration, including a champagne reception and inaugural book signing with legendary photographer Peter Lindbergh. 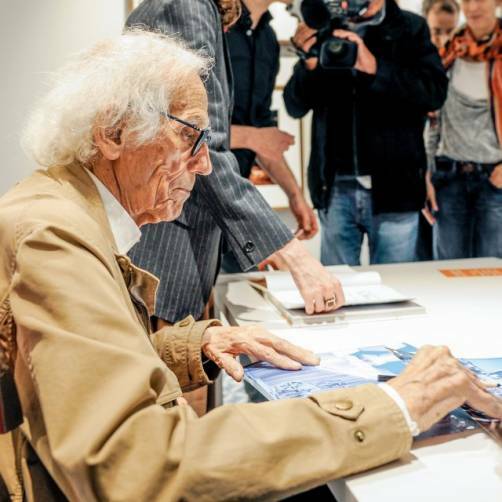 Packed crowds of arts, culture, and media figures as well as hundreds of eager Lindbergh fans waited around the block to get a signed copy of A Different Vision of Fashion Photography and to enjoy a first glimpse of the new 300m2 store space at Schlüterstraße 39. 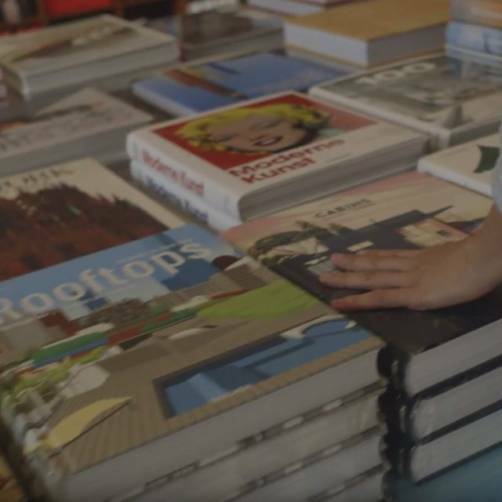 Guests were wowed by the store’s size and comprehensive display of TASCHEN books, prints, and Collector’s Editions, as well as by its luminous interior design, conceived by Italian designers Alberto Stampanoni Bassi and Salvatore Licitra. Licitra is himself the grandson of Gio Ponti and channelled many of his grandfather’s most characteristic designs into the store’s five rooms, most particularly with vivid blue and white original Ponti tiling, configured in different geometric patterns room by room. 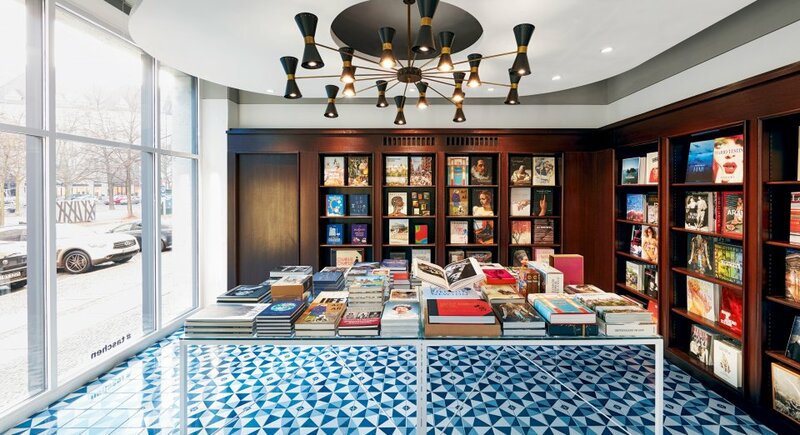 The concept, says Licitra, was to “create a gift of atmosphere”, suffusing the store with a Mediterranean-style warmth, color, and light not typically associated with Berlin and to nurture through the interior the sense of playfulness, vibrancy, and discovery true to TASCHEN publications.